For a man, hair loss commonly begins by the time he reaches the age of 35. At this age, about 70 percent of men will experience hair loss. While most women won’t experience baldness as much as men, it can also affect this gender. About 50 percent of women experience female-pattern baldness when they reach 65 years old. So what can you do to help thinning hair regrow? The latest trend in hair care is natural essential oils. Here you’ll find an essential oil blend for hair growth that you can make at home. But first, what exactly causes hair loss? According to Dr. Alison Barwise from GQ magazine, there are 13 common causes of hair loss. These include male pattern baldness, recent illness (e.g. fever), iron deficiency, mental health problems, hormonal problems, medications, infections, lupus, psoriasis, scalp injury, autoimmune disease, weight loss, and cancer. Essential oils have a variety of uses. They can act as disinfectants, alleviate headaches and other body pains, relax the body and senses, and fight common cold and flu. In fact, they can also help thinning hair to regrow naturally. Dr. Josh Axe has listed 3 essential oils that can help thicken hair. Rosemary (Rosmarinus officinalis) is commonly used in cooking. But it also has one of the most powerful essential oils in the world. Rosemary essential oil is mostly used to soothe digestive problems and relieve muscle pains. It also acts as an antioxidant that has anti-cancer and anti-inflammatory properties. Recently, rosemary essential oil has also become popular in hair and skin care products. It can increase cellular metabolism in the scalp, which stimulates hair growth. Cedarwood Essential OilCedarwood essential oil (which is commonly extracted from Juniperus virginiana) can treat eczema, reduce arthritis, relieve spasmodic conditions such as asthma, tighten muscles, repel bugs, kill fungal infections, and cure acne. 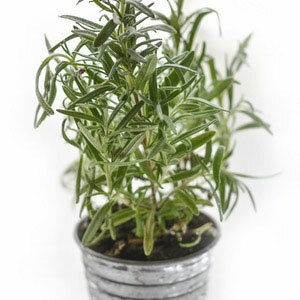 Just like rosemary essential oil, it can also stimulate hair growth by increasing circulation in the scalp. 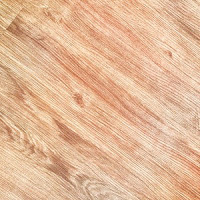 This property also allows cedarwood essential oil to reduce dry or flaky scalp. Clary Sage Essential OilClary sage (Salvia sclarea) is a medicinal herb that has a powerful essential oil with a wide range of uses. For instance, clary sage essential oil can relieve menstrual discomfort, increase blood circulation, lower cholesterol level, and improve digestion. Clary sage essential oil can also prevent hair loss by balancing hormone levels, relieving insomnia and stress, and killing bacteria and infections. In a jar, combine your jojoba oil and grapeseed oil to create the base of your essential oil blend. Add 30 drops each of rosemary, cedarwood, and clary sage essential oils into the jar. Cover the jar with the lid, making sure that it is tight and secure to avoid spillage, and then mix your ingredients well by shaking the jar vigorously. Keep the essential oil blend in a cool, dry place when not in use. Pour a generous amount of the essential oil blend onto your palm. Spread it to your hands by rubbing them together. Massage the essential oil blend onto your scalp. Make sure that your entire scalp is coated with the essential oil blend. If needed, add more. Coat your hair with the remaining essential oil blend on your palm. Leave the blend on your hair for at least 20 minutes. You can also leave it overnight if you wish. Wear a shower cap to bed to prevent the blend from staining your pillowcase. After 20 minutes (or the next morning if you left the blend overnight), wash your hair. Shampoo, rinse, and air dry. Apply the blend onto your scalp and hair once a day or at least thrice a week. Choosing a natural treatment for hair loss will help you avoid chemicals that can do more damage to your hair. Essential oils are a good way to create a natural treatment for hair loss. If your family has a history of male or female pattern baldness, you can also use this essential oil blend recipe to prevent early hair loss and baldness. 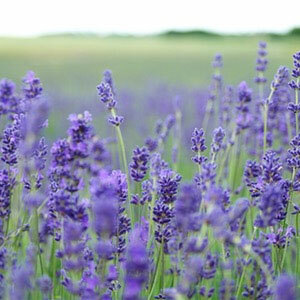 Another alternative is to apply rosemary, cedarwood or clary sage essential oil to your scalp directly. Their anti-hair loss properties will rejuvenate your scalp and hair. You can also add a few drops of other essential oils (such as lavender and lemon) to add fragrance to your essential oil bend.